The Gustavus Department of Music is pleased to present its annual Senior Honors Recital on Saturday, May 2, in Jussi Bjorling Recital Hall. 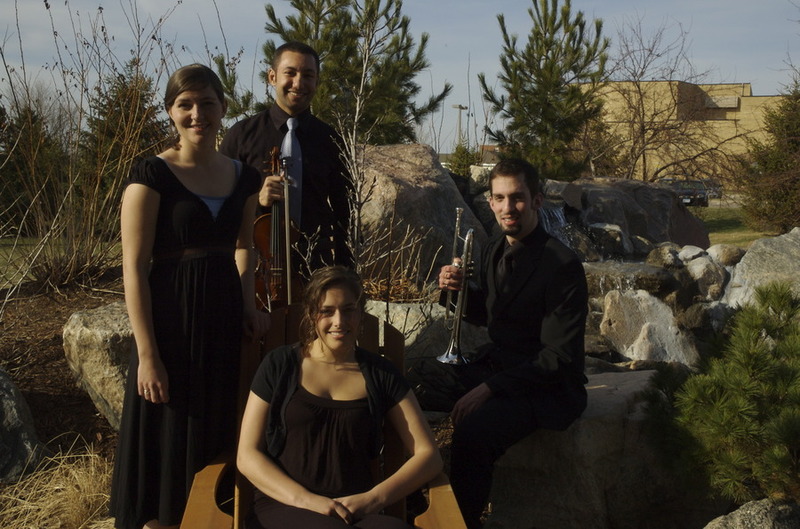 Four seniors, sopranos Karly Slivik and Hannah Wunsch, violinist Mark Wamma and flugelhorn Erik Mahon have been selected to participate in the Honors Recital which begins at 1:30 p.m. Admission is free and open to the public. Soprano Karly Slivik will open the recital with two works, Nancy Hanks by Katherine K. Davis and The Willow Tree by Arnold Freed. An environmental studies and chemistry double major, Karly is a Jussi Bjorling Scholarship recipient and will be accompanied by pianist Beth Winterfeldt. The recital continues with Maurice Ravel’s Sonata for Violin and Piano, movement I. allegretto, by violinist Mark Wamma. Wamma, an honors music performance major from Mankato, is a Bjorling Scholarship winner and is also accompanied by Beth Winterfeldt. The final work on the Honors Recital program is the Vesperale movement from Claude Bolling’s Toot Suite for Trumpet and Jazz Piano. Mahon, a native of Littleton, Colorado, is a music honors in trumpet performance major with a minor in political science. He is a Jussi Bjorling Scholar and will be assisted by Beth Winterfeldt, piano, Scott Simpkins, bass and Andrew Haaheim, drums. The 2009 Gustavus Senior Honors Recital begins at 1:30 p.m. in Jussi Bjorling Recital Hall and is free and open to the public.